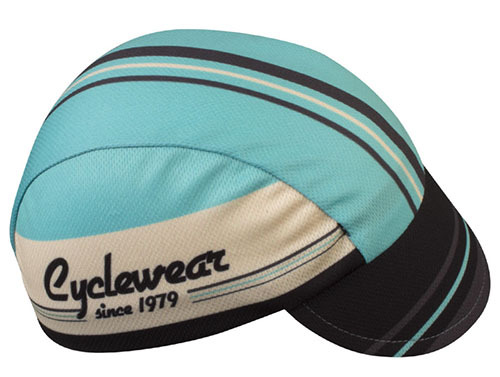 Get a blast from the past with this Retro Active cycling cap! Made with 100% wicking polyester that evaporates moisture, this rush cap will keep your head cool and dry while cycling. 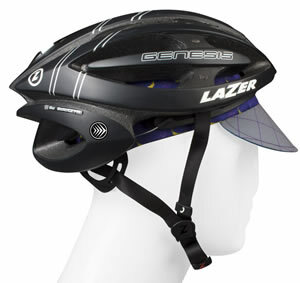 It also offers a built-in sweat band that keeps you riding longer and your eyes feeling stronger. 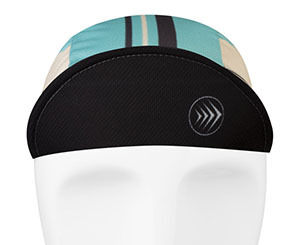 The elastic back stretches to make this cycling cap fit snugly on your head. One size fits all! The plastic brim is bendable for easy storage and offers shade from the sun. Great to wear alone or under your helmet! The Retro Active print features the color Celeste Green, made famous by Bianchi Bicycles. The origins of the 129-year-old Italian company's marquee color are still a mystery. Some Italians say it resembles Milan’s sky at night,which makes sense since Celeste roughly translates to “sky blue.” Others say it was the former queen of Italy’s turquoise eyes, since Mr. Bianchi made a custom bicycle for her. One likely source of the famous color is that it was a "mixture of wartime surplus paint" that was surprisingly inspiring for riders at the time. Regardless of its origins, the color continues to evoke the tradition that is Bianchi Bicycles. The color is unusual and inspiring for riders of the famous Bianchi bicycles. 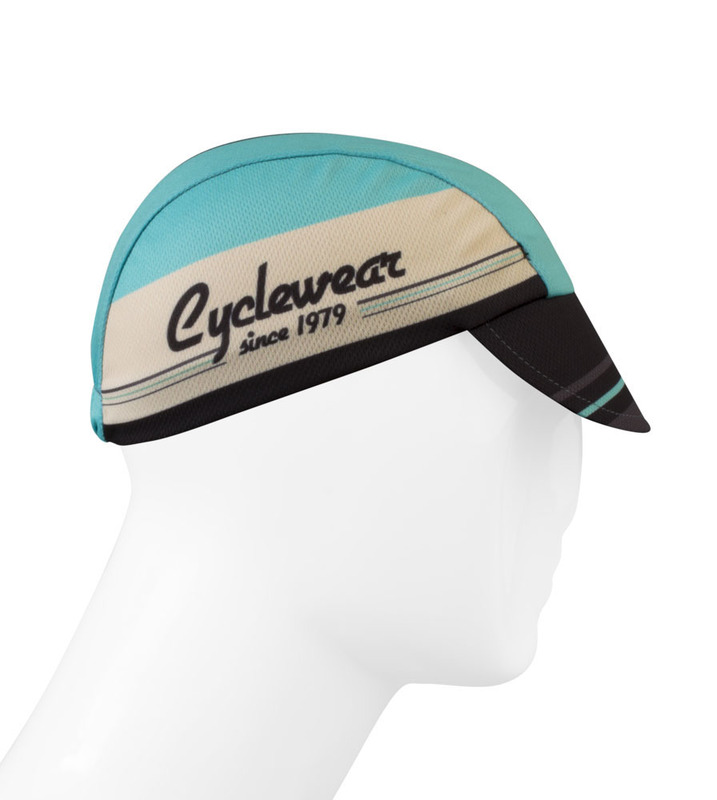 The middle panel of the cycling cap proudly carries this Celeste Green color, with cream and black stripes from front to back. Both side panels read Cyclewear since 1979, reminiscent of the popularity of Bianchi bicycles at that time. The top of the brim is a solid black, with a small Celeste Green stripe across it. The bottom of the brim is also solid black with the Aero Tech Designs logo off-centered. Aero Tech Rush Cycling Caps - Retro Active- Cycling cap with plastic brim; made with high performance wicking polyester to keep your head dry. stretch fit better than cotton cycle hats! Great design but both the cap & visor were too small. So we returned it. 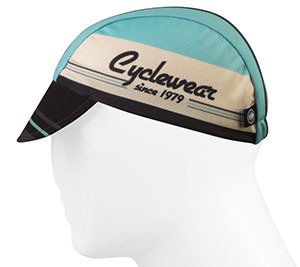 I was looking for a cap that fit during a ride, made well, and was retro looking. After a Month of wearing under my helmet, I am not disappointed in the least. Good tight fitting cap for the purchase price.